A good way to explain refinancing a mortgage is to look at the key steps involved for the homeowner and the mortgage lenders in the refinancing process. Homeowners must decide if refinancing a mortgage is financially feasible and beneficial. The current mortgage rates are at least two or more percentage points below the homeowner's mortgage rate. The homeowner plans to live in the home at least three years. It usually takes about three years to recover the cost of refinancing. For example, if refinancing is going to save $100 a month in payments and closing costs come to $4,000, it will take 40 months (3.3 years) to recover the cost of refinancing. By lowering your interest rate, you can significantly lower your monthly interest rate. For example, lowering the interest rate on a 9%, 30-year fixed rate $200,000 mortgage by three percent can lower payments from $1,609 to $1,199 - a savings of $410 monthly and $4,920 annually. 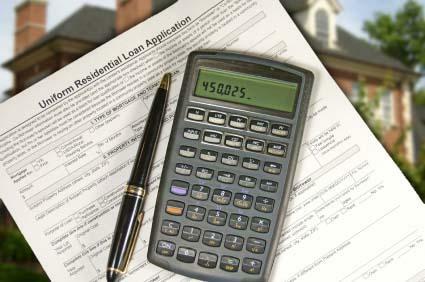 There is a wide variety of mortgage refinance loans to choose from. The best place to start your research for a new loan is with your current lender. You may be able to renegotiate your mortgage at a lower rate. The interest rate may not be as low as what other lenders may be offering, but renegotiating your loan can save you money because you don't pay any closing costs. This savings can be significant since closing costs on a $200,000 mortgage can cost as much as $11,460. The above figures are merely estimates. For example, not every lender charges an origination fee. There is a wide variety of types of mortgages available including fixed rate, ARM and hybrid ARMs. Each loan type has advantages and disadvantages. Some loans may be offered at "no-cost refinancing", waiving the closing costs but charging a higher interest rate. Be sure to consider all aspects of the loan, not just the interest rate. Be sure that you understand the term of the loan, how often the payments might be increased, and how much they might be increased. Another aspect of evaluating different loans is to do some calculations and use some of the excellent loan calculators that will automatically estimate the monthly payment including the effect of taxes, property insurance and private mortgage insurance. You may be able to get a preliminary loan approval decision in minutes, but the lender will want to complete an appraisal of your property and a final credit check before offering you an interest rate. For some lenders it may take up to a week to obtain a decision and an interest rate. Once your loan is approved, you will be given an interest rate as well as the details of your loan such as the potential frequency and amount of monthly payment changes. You will be asked to sign all of the loan documents in front of a notary public. Be sure you understand everything you are signing, because once you sign the documents, you are responsible for the loan. You may be given the opportunity to review the documents for several days before the official signing of the documents. If so, this is an excellent time to show the documents to a trusted advisor. If you are not able to have this extra review time, you can always have your advisor come with you to sign the documents, and you both can review the documents at the same time. Your new lender will arrange for your current mortgage loan to be paid in full. If your new loan is for an amount larger than the balance on your current loan, your new lender will arrange for a check to be made out to you for the difference.